The queen of all plums! It is among the most flavourful plums in the world. 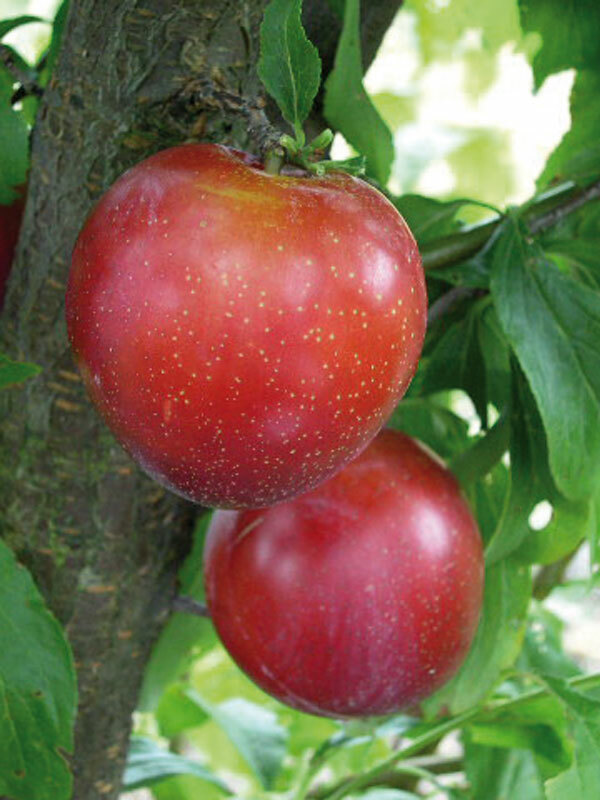 Medium to large purple-skinned fruit with yellow-tinged pink, juicy, tangy flesh. Partially self-fertile and excellent pollinator. Early to mid-season.